We offer premium quality Copper Octoate that is prepared from the premium quality base materials. Our Intercide Copper Octoate is highly acclaimed for quality and purity. Commonly used in various industries for several applications, our Copper Octoate is reliable to use. 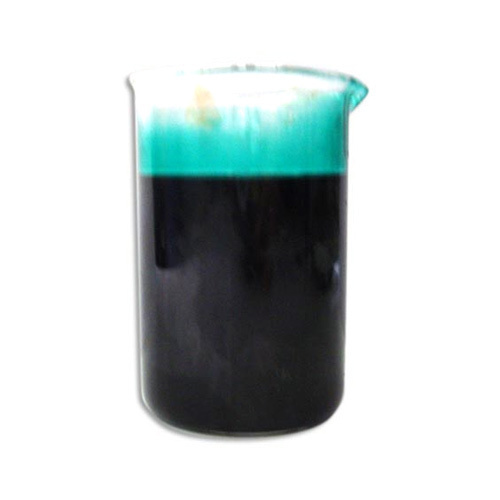 We have carved a niche as one of the ecstatic Copper Octoate Chemical Exporters and Suppliers based in India. Providing end to end solutions to your needs of reliable chemicals, M/s Saraf Resin and Chemicals Pvt. Ltd. has come up with an entire range of Manufacturing, Supplying & Exporting of different types of Resins ( Alkyd Resin, Maliec / Phenolic Resin, Humber Tone, Easter Gum, CNSL Resin ), Gum Rosin, Pine Oil, Turpentine Oil, Terpineol, Driers Octoate ( Calcium, Copper, Cobalt, Lead, Manganese, Zinc, Zirconium etc. We have not confined our self to the national market but have designed solutions that would meet the requisites of the global clients as well. Being acknowledged as a prominent Resin And Chemicals manufacturer, exporter and Supplier in India, we are committed towards transparent deals, timely delivery and making value for money products.